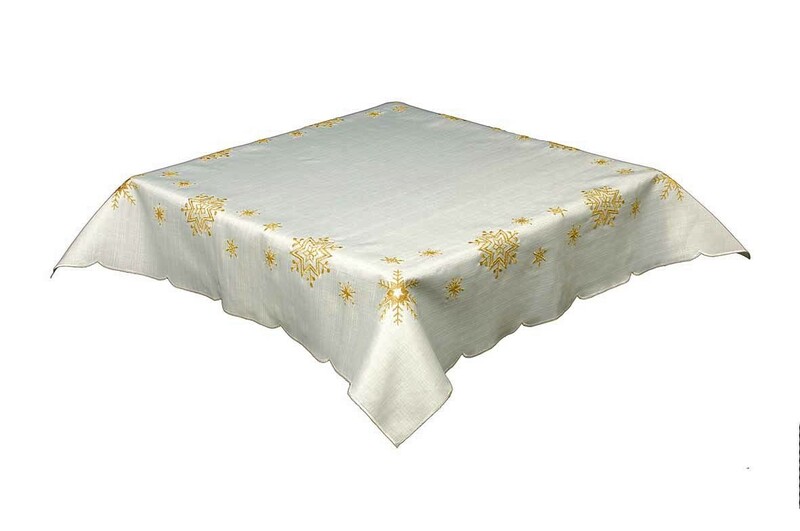 Cream holly vine embroidered Christmas tablecloth in a 178cm (70″) round with 6 table napkins. 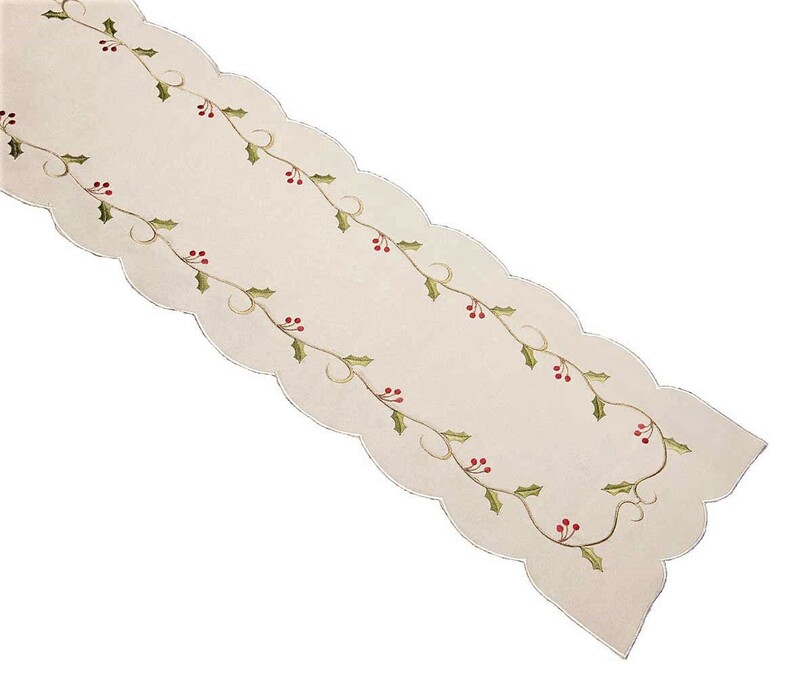 The Holly Vines cream embroidered Christmas tablecloth and napkin range is ideal for Christmas and New Year. 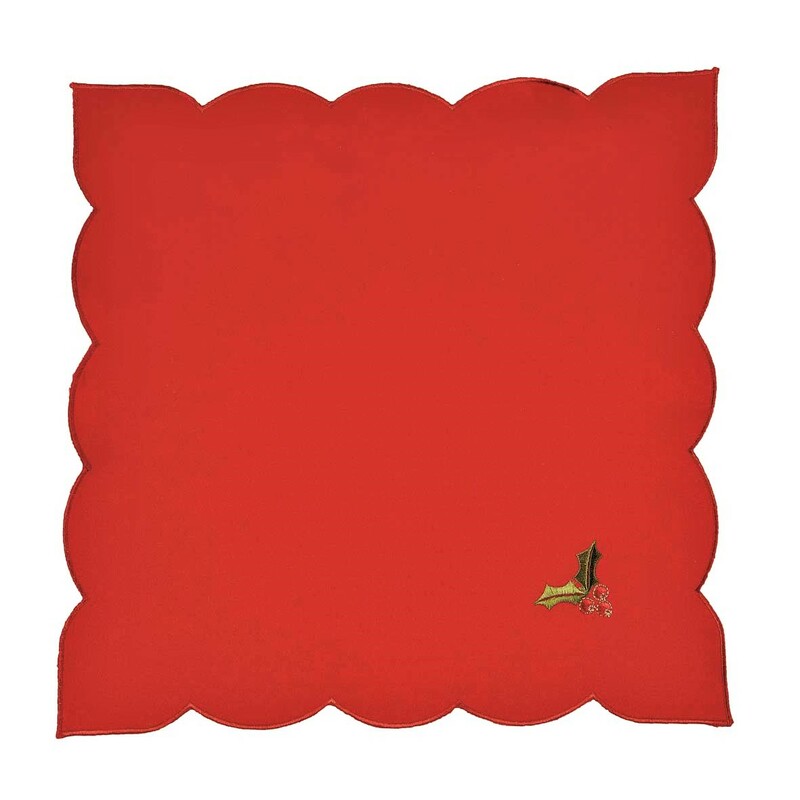 This size is ideal for use on a 6 seater size circular table. 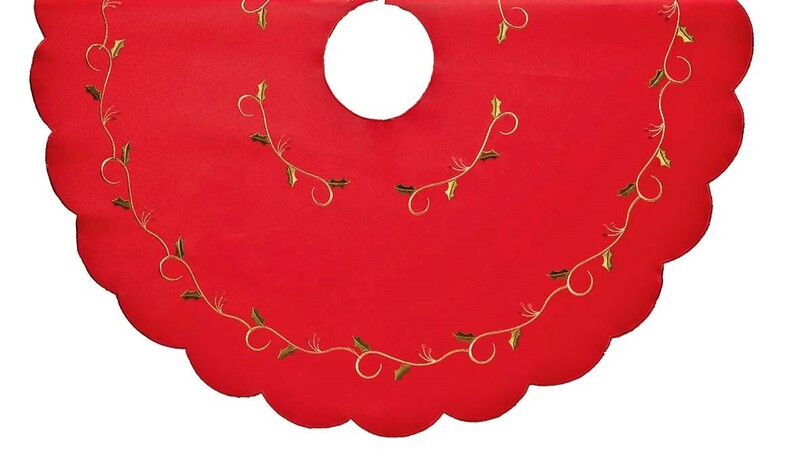 The Christmas tablecloth has green embroidered holly vine centre panel detail and also around the scalloped edge. The 6 napkins have a green embroidered holly leaf in one corner. 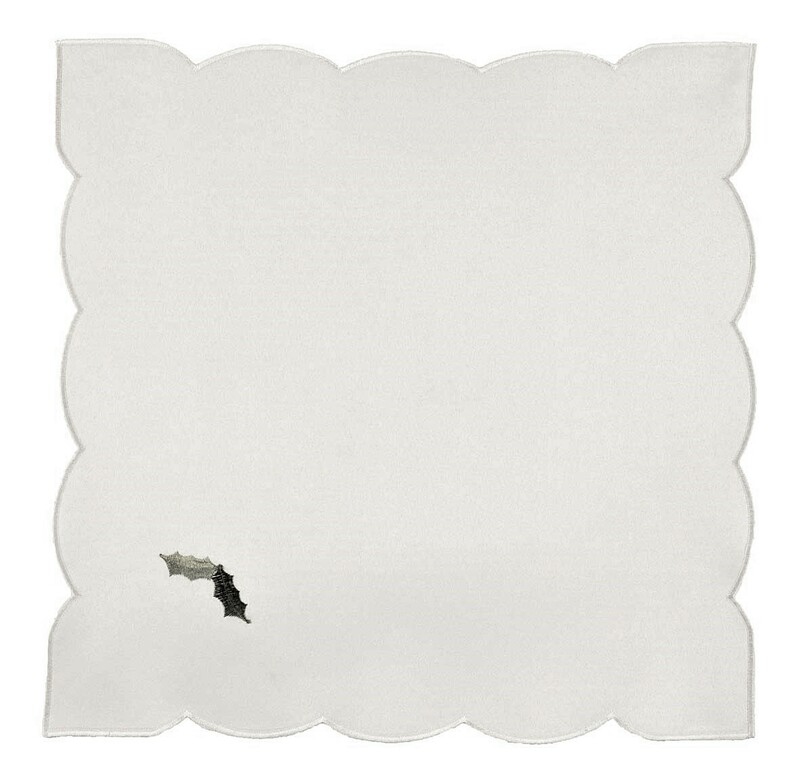 The holly vines cream tablecloth is made from 100% quality polyester fabric. This means its ideal for machine washing and needs little to no ironing. Drying time is minimum so it can be washed and back on the table in no time at all. 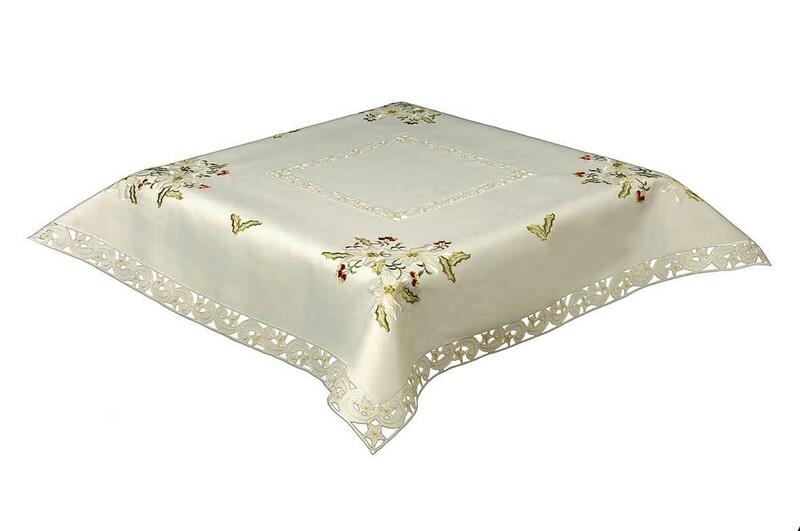 This holly vines cream tablecloth range also comes in red with green holly and white with silver holly embroidery. Dress up your table for Christmas and New Year by Using the red holly vine napkins or runner as a contrast on the cream tablecloth. This Christmas holly vines cream tablecloth size range starts at a small 85x85cm (35″x35″) square side tablecloth up to a 178x280cm length oblong tablecloth for a 10 seater size. There are also 3 different length table runners to match. Other items in the range are doilies, placemats, cushion covers, fireplace mantle runners and Christmas tree skirts. All items are available in the Christmas section on the home page. The cream Christmas tablecloth and napkin set is durable and hard wearing. It machine washes easily and is quick drying with little or no ironing required. 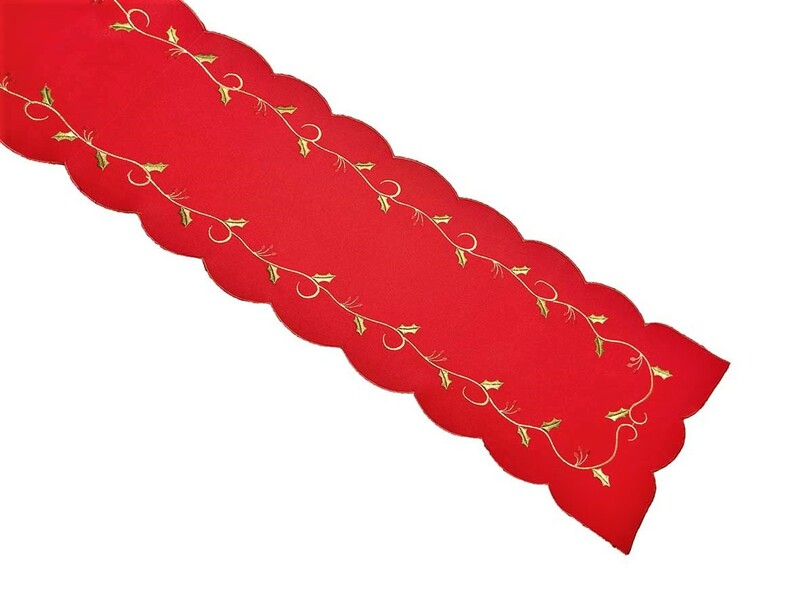 This cloth can also be purchased without table napkins, see store.